Jose and his team are AMAZING!!! We couldn’t be more happier with their work. Very professional and personable. It was my 30th birthday celebration and Jose just made it perfect!!! Jose and his crew really out did themselves! I had my 30th birthday celebration and he was perfect! He has a great application to help organize your event n choices of songs it was so easy! 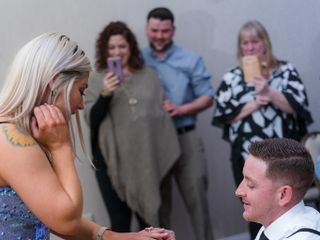 Also I had a surprise engagement and he helped capture those unforgettable moments and the whole night. He was patient and also helped with his expertise!! He is wonderful at what he does and works great with people! I highly recommend him for any event!!? Definitely check out his website to see his extensive offerings - He can cover any of your wedding needs! Super affordable, super friendly, lots of experience and knowledge. For the price that I paid for both services, I have seen others pay for just one. He ran everything smoothly, the music was great and fun - I was able to fill out a request list that was mixed with songs from the DJ’s list. His website for managing the songs and wedding details is very easy to navigate, and he’s easy to talk to about any questions you have. His has a great choice in music to fit the mood of any moment - from cocktail hour to dinner to dancing. And the photo booth was a hit - the photos came out super fast but there was often a line for the photos as so many people wanted to take pictures! and the photos came out so clear and beautiful. I’ve seen people that attended put up those pictures in their home and work desks. All of the photos taken at the wedding came back to me about a week or less after the wedding. Jose is an artist and captures all the magical moments of your special day and brings them back to life through his photos. Besides spectacular work, professionalism, and just being so down to earth. They kept me on my toes and made sure I was doing everything in a timely manner ( I was so easily distracted) They all work so well together and take pride in what they do. I couldn’t have made it through the day without them. Words do no justice to the service my husband and I received from JPROD on our wedding. Everything from beginning to end was absolutely perfect. My pictures are so beautiful. I got the photo booth, the uplighting, the videography and the pictures done by JPROD. I so highly recommend. Jose & his team were EXCELLENT! being able to use his user friendly website to pick all the songs we wanted and the order of the night was very helpful. We gave Jose a wide variety of genres and he hit everyone with great transitions. The dance floor was full all night long and everyone kept saying how awesome our DJ was. Also the Photo booth was a big hit with all our friends and family. We had went to two weddings within a month and a half of ours for two of my co workers. 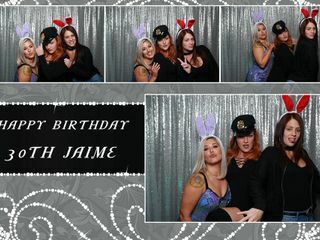 They both said how great the photo booth was (the templates were awesome as well as the photo text). All in all Jose was super nice, easy going, and gave just the right amount of energy (we all know how DJ’s can be too much). Highly recommend as he made our special day one to remember. Jose was very knowledgeable, accommodating and professional. He made our day very special and the photographs were amazing! So professional! He was like family! Since the beginning, he was flexible, easy to work with and made the process so easy. I had no concerns from the time I hired him and throughout the wedding. Music was exactly what we asked for and the photo booth was a HIT!!! 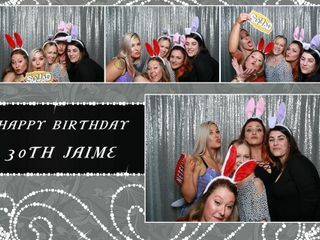 I used JPROD for DJ services, photography and their photo booth and I don't regret it! 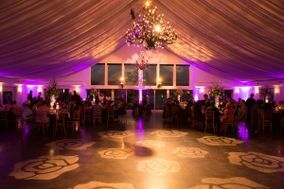 Jose and his team did everything they could to make my wedding memorable. Our wedding was at the Valley Forge Casino and Jose used every inch of the hotel to make sure we had great pictures. I was completely comfortable in front of the camera and he made sure to capture moments that I forgot about. The DJ played the best variety of music and my guests were on their feet the entire night. Photo booth was amazing and I am so glad that I got to see all of the pictures that everyone took and see them enjoying themselves. The turn around time for the pictures was impeccable. It took him no time at all to make them available to us. I would recommend this company 100x over. You will not regret using them! Wedding Photo! DJ! Photo Booth! Light Effect! 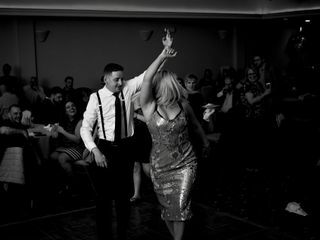 Our wedding party danced and laughed from start to end, and Jose and his assistance capture every moment and every laugh. He is very understanding and works to make this day as perfect or flexible as you want it. "The best day ever." Jose was very professional and patient with us. His staff is excellent and very helpful. I would highly recommend his services. Jose and his team were very helpful and patient. They made our wedding experience very wonderful. I would highly recommend Jose and his team. Jose and his team were always right there making sure they captured the moment. My pictures came out beautiful, and people did not stop talking about my DJ! Everyone was on the dance floor ! Thank you so much ! We had an incredible experience with the JProd team! Everyone was professional and approachable - they knew what they were doing and were flexible enough to make it fit our day. We had a few special requests for how things would work throughout the day and JProd nailed every one. My guests will NOT stop talking about the music. We danced all night. Jose read the crowd and kept us moving. People were texting us the next day that their legs were so sore from dancing they didn't want to get out of bed! haha. They are even asking me for a soundtrack from the wedding. I don't know about you - but when I go to a wedding I care about two things: the food and the dancing. I'm confident our wedding hit both of those out of the park. Our friends purchased the JProd video team for us as a gift - and we are so excited to see the final product. Carlos assured us he had a ton of incredible footage - and I believe it! Every time something great was happening, they were right there! Love you Guys! "Clients Become Family"
Day makes a good wedding. However our wedding we awesome !!! Thank you Jose ! He did such a great job. My husband and I would just like to thank you so much for our wedding photos, they are absolutely beautiful. We are so happy with them. Your creative and professional work, has now become our everlasting memories of our very special day. 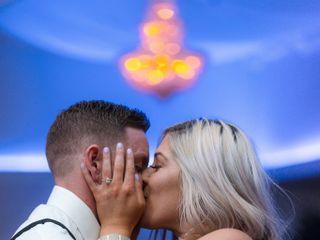 We thank you so much for our beautiful photos and will be sure to recommend you to anyone we know who is looking for a photographer. You were such a pleasure to work with. You felt more like family. I am sure we will work together again. We appreciate you, your work and your words of encouragement. May God continue to bless you. make a play list & add on & add on. It was a pleasure working with Jose. He seemed to really enjoy his job. I’m not a picture person and he made me feel comfortable. The pictures came out really nice. He photographed a mix of posed pics and pics while the party was going on. 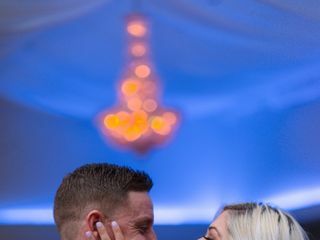 Looking at all of the pics on our website made me feel like I was back at my wedding. We also chose to have him photograph our infant. We’d definitely work with him again! Jose was awesome with responding to my many questions, providing options, and friendly. The day of the event he and his team arrived within enough time to set up and was completely ready at the start time. Jose is truly the best at what he does. He made my daughter Iveannie as well as my family VERY comfortable through the wonderful experience. We knew we made the right decision when we picked Jose Rodriguez to be a part of my daughters sweet16. Iveannie and family loved all shots, Jose went out his way for all of Iveannie’s needs. When I called, texted, Facebook etc. him for any need that would come to mind, he was there and on time...Jose made everything possible for perfection and less stressful. 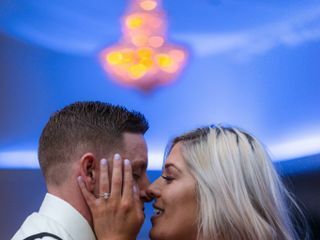 I would highly recommend Devante and Anthony as well for making the music and Photobooth right at all times as well as Iveannie’s introduction PERFECT. (when we were so last min with things.) Jose made Iveannie’s pictures everything she dreamed of, capturing her every special moment and making them so memorable. He will never let you down. When he says “clients become family” he never lied. The trust that Auria and her family put on me for their beautiful daughter's milestone was never taken for granted. Love them so MUCH!